Note: Before you can add favorite images, you must be a ArtWanted.com member. Login now or create your free account. 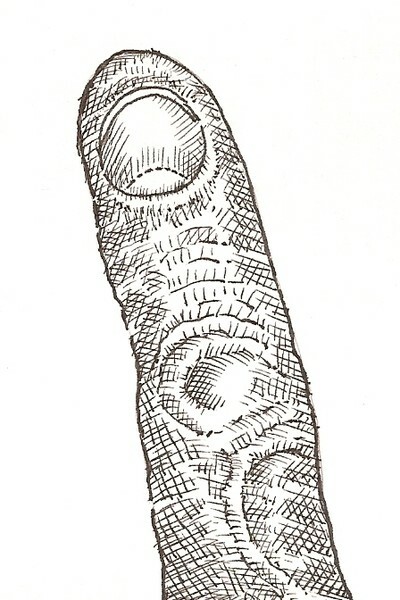 Dave, this appears to be a very unique index finger that has performed a lot of wonderful things in life. I may be wrong but this gives me the impression that you are a gifted left handed artist. Artist Reply: Very right handed...I just poked my finger up and did a quick sketch. I was most impressed by the vein that popped out under my knuckle after I held the finger up for a while...know that in my youth and while building truck bodies in my first real job, this was the finger that got smashed the most!